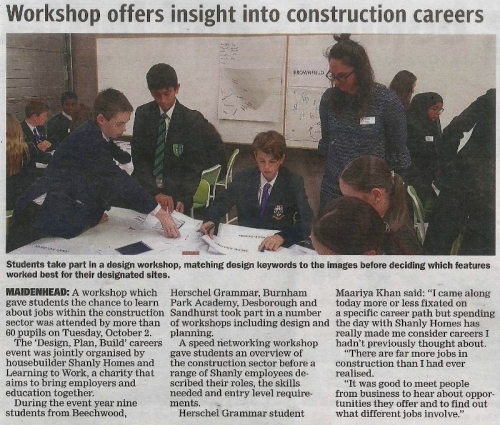 On Tuesday 2nd October, a group of selected Year 9 students were invited to participate in a ‘Design, Plan, Build’ workshop at Slough Aspire. This was led and co-ordinated by Learning to Work with the help of Shanly Homes, an award-winning construction company who put aside their busy schedule to educate us about the diversity of roles within the construction industry. They demonstrated the idea that there is a place for everyone, no matter what you are interested in. The day was incredible! 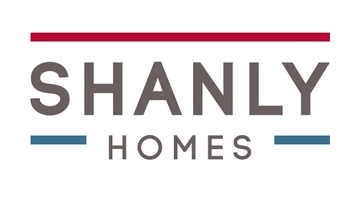 We started off with an introduction to the world of construction, and we were given a great talk by several people, each with a varied job role in the Shanly group. We were introduced to planners, directors, and even an HR manager! Many fun activities took place, and we were given a chance to experience what it is like in a workplace by forming a team that consisted of people whom we had never met before. We got to think about living areas, the design plan of the house, and the problems that can occur during lengthy and extensive process of construction. At the end of the workshop, we got a chance to ask our queries to people who work at Shanly Homes and we were made aware of different jobs available in the construction industry. Overall this was a great workshop and a great learning experience! If given a chance, I would be keen go back to Shanly Homes at anytime. The people were kind, helpful and welcoming, and this trip was a great place to improve my social skills, which I believe I did greatly. In the end, this workshop was a great experience that definitely changed my insight on construction industry. 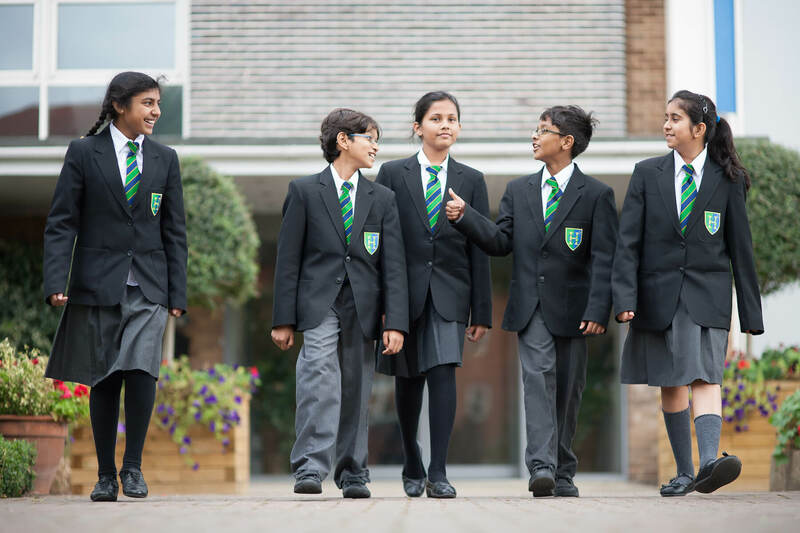 I think it was a great initiative and my gratitude to Herschel Grammar School for giving us a chance to learn more about our future career options.